The new city of Babcock Ranch, under early development just east of I-75 and on the border of Charlotte and Lee Counties, will eventually have 19,500 homes, with all power from its adjacent 443-acre solar field. When all 330,000 panels are up, they might just generate enough high voltage energy to match John Hillman! John is the Senior Vice President of Sales & Marketing for Kitson & Partners, the firm behind the ambitious Babcock Ranch alternative energy community, the most sustainable in the United States. It is a 91,000-acre public/private concept, with Kitson & Partners donating 73,000 to the State as a nature preserve, leaving 18,000 for development: 13,000 in Charlotte and 5,000 in Lee. The residential development will not encroach upon the land’s unique natural characteristics, emphasizes John. Babcock Ranch homes will be Old Florida, with 8-foot-wide front porches, and neighborhoods interconnected by trails to not only discourage driving but encourage taking the long way home. Work to date includes roadways, paving, and sidewalks. Construction on 16 model homes, with the development’s four builders each contributing four, begins in August. “Our essential component is to keep people connected to each other and the land,” John says. 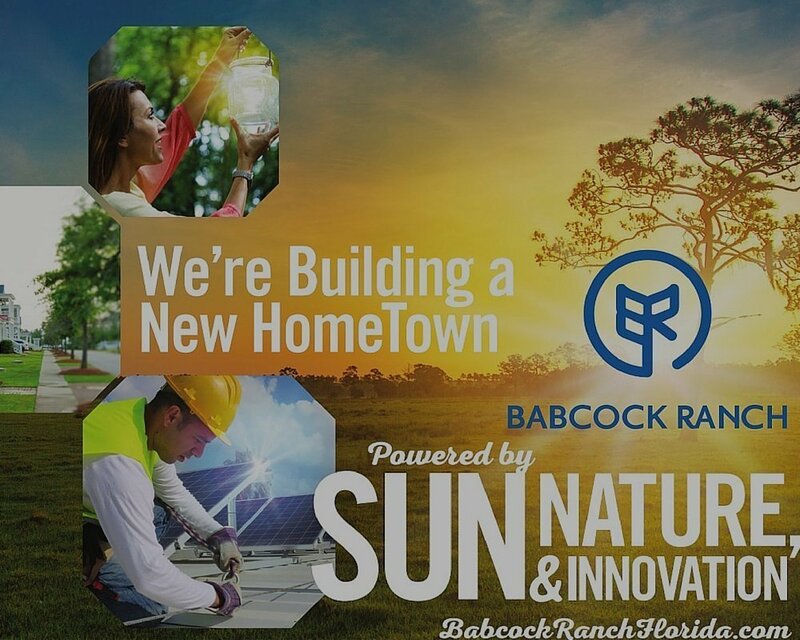 “Babcock Ranch homes will be Old Florida, with 8-foot-wide front porches, and neighborhoods interconnected by trails to not only discourage driving but encourage taking the long way home. Conversely, our technical innovations will be the finest and fastest on the planet; we will be a Future-Proof Community!” Models open in January 2017, with the first residents in February or March 2017. Nature is everywhere. 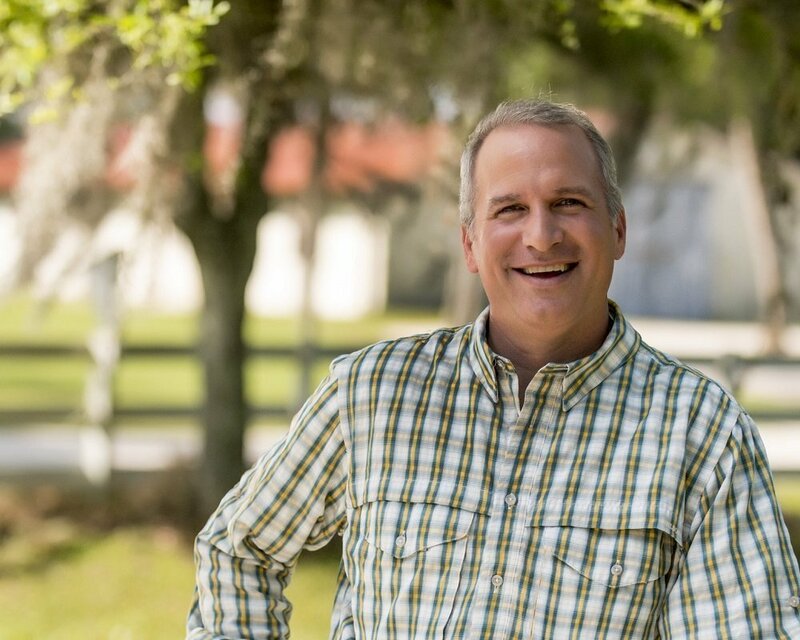 “As soon as you drive over the entry bridge, you experience a half-mile water feature, with oaks, pines, cabbage palms, and tree-lined streets,” John offers. In addition to the surrounding preserves, pocket parks and water recreation are prevalent. Every neighborhood features a recreation amenity as well as a trailhead to paths that band the vibrant community together. John describes Babcock Ranch as “Front Porch Central! Neighbors will share community gardens, growing everything from chives and basil to food, and few things connect people like food.” Neighborhoods feature front porches facing inward so everyone lives on a park, while alleys are in the rear for refuse and other unsightly services. “You will never see a garbage can in front of a Babcock Ranch residence,” smiles John! Water recreation is strongly encouraged, though there will be no power motors on the lakes. “The Town master plan allows everyone to walk to Downtown,” John explains. “Our Main Street is actually called B Street in ode to Crescent B Ranch, the historic name of the property. It will have several essential elements, like restaurants, a combination ‘Town Hall meets an Outfitters,’ with a K through 8 charter school, ice cream store, and wellness center that is more a YMCA on steroids!” Collaborative work space can be a business incubator or communal spot for the growing number of those in their 50s, 60s, and 70s who still professionally dabble. Downtown will be ideal for a business breakfast or lunch, then working with like-minded people. Our ancestors believed in something greater than just living; they valued community. A fascinating aspect will be the construction of 42 baseball fields, one of the largest such complexes in Florida. John explains while that may seem unusual, it projects to attract roughly 200,000 players annually, along with coaches and families. This will fast forward retail, hotels, and restaurants as well as the residential. Farmers already grow watermelon on 500 acres, while honey bee farmers are on another 10. 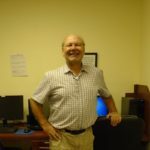 When asked the best part of Babcock Ranch, John enthuses that “all the parts are cool and that’s what makes it so cool! You can just live here quietly, start a business or own a restaurant, begin a new life or chapter to your life, have kids or be retirees, all with the most advanced technological infrastructure. Babcock Ranch is a new-age town in an old natural setting, mixing yesterday’s heritage with tomorrow’s innovations. It is livable, flexible, and sustainable.” In analyzing drawbacks, construction will go on for a long time. “Neighbors need to understand there will be dust and workers for the foreseeable future,” he explains. For more information on Babcock Ranch, contact 239-235-6900, see BabcockRanchFlorida.com, or KitsonPartners.com. See additional links below for more information.